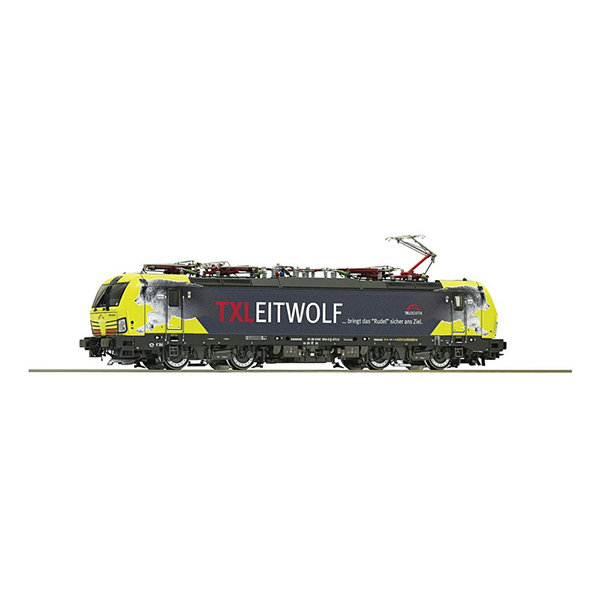 Roco 79983 - Electric locomotive 193 554-3 TX LogistikElectric locomotive 193 554 with “Leitwolf” design of the TX Logistik. Epoch VI. Motor with flywheel. Drive on three axles. Two traction tyres. Four pantographs. Coupler pocket according to NEM 362 standards with close coupling mechanism. PluX22 Interface for the adaptation of a digital decoder. LED-lighting white/red changes with the direction of travel.